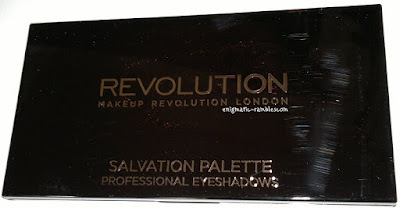 As with all Salvation Palettes this one comes in a cardboard sleeve, once opened you have a shiny black palette which has a large mirror, the same size as the top of the palette. 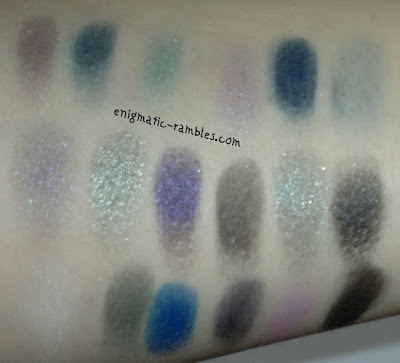 All were swatched without primer, some are more pigmented than others. White Noise may not be showing up well as I am quite pale to begin with. Depravity and Pretty Zombie were less pigmented however with primer they do work better. The palette is Halloween themed, however it isn't only wearable for Halloween. There are some gorgeous dark shades here which you could easily use in a smoky eye look. That said you could still use this palette in a more day time look if that was what you were wanting. 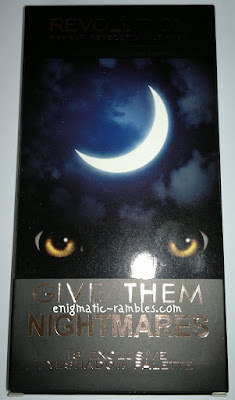 It reminds me a lot of my Sleek Bad Girl Palette, which was similar to Urban Decay The Black Palette. I really like this palette, I originally bought it for a friend and really wanted it for myself!